Heat oil in a heavy skillet or Dutch oven to 350F. Note: Do not fill the pan more than halfway up on both sides. Grab a medium-sized bowl and combine the cornmeal, flour, House Seasoning, and cayenne pepper. 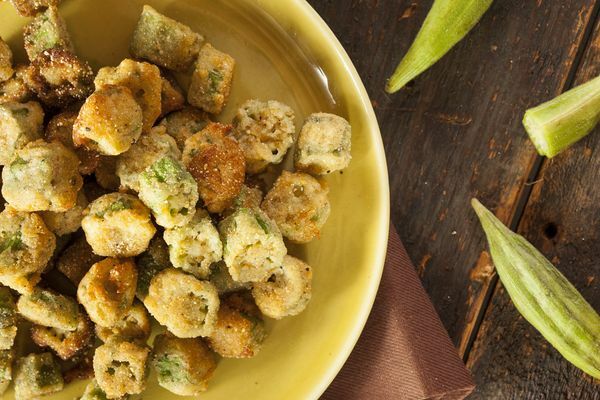 Dip the okra in buttermilk and dredge in the cornmeal mixture to coat it completely. Carefully add the okra to the hot oil and let it cook until it is brown. Once the okra looks brown at the edges, remove and drain on paper towels and serve immediately!